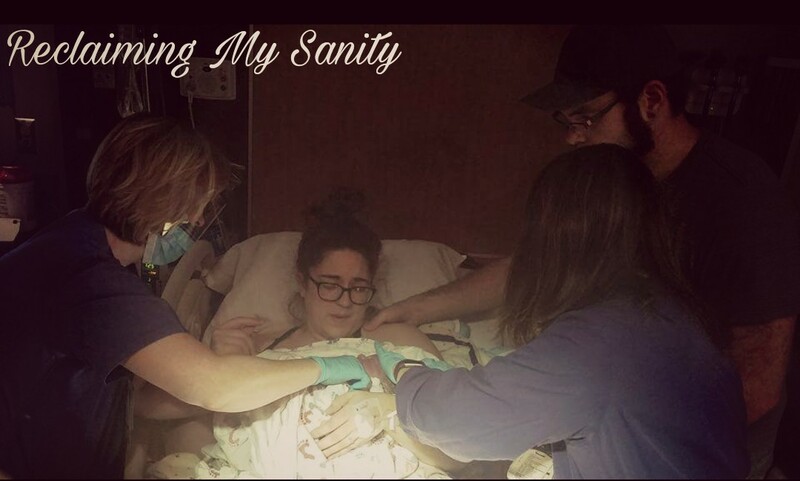 There are so many stories to read about a woman’s birth experience. It is very rare to find stories about their partner’s perspective. 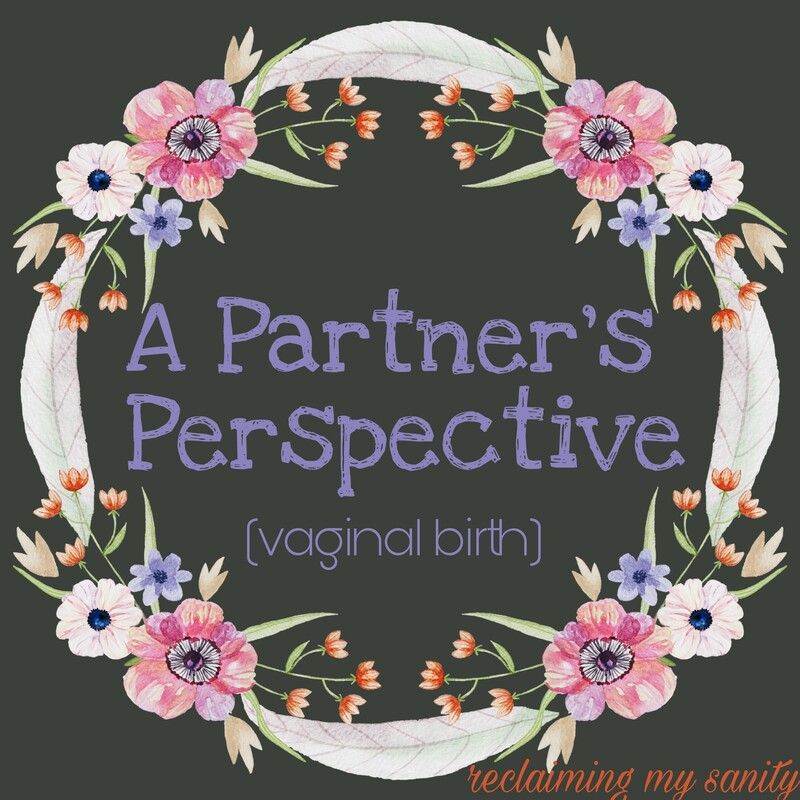 I asked Chris to help me with this blog and the A Partner’s Perspective on a csection birth. I know what these very different experiences were like for me, physically going through them, but what about his? What about our partners? What was their version of these precious moments? In my vbac support group, on Facebook, women are always asking how they can help prepare their partners for birth. More so, how to have a supportive partner during a vbac and what can they do to be helpful during labor and delivery. Our experience may not be the same for everyone, but I believe it will be helpful. This all will be in Chris’ words. 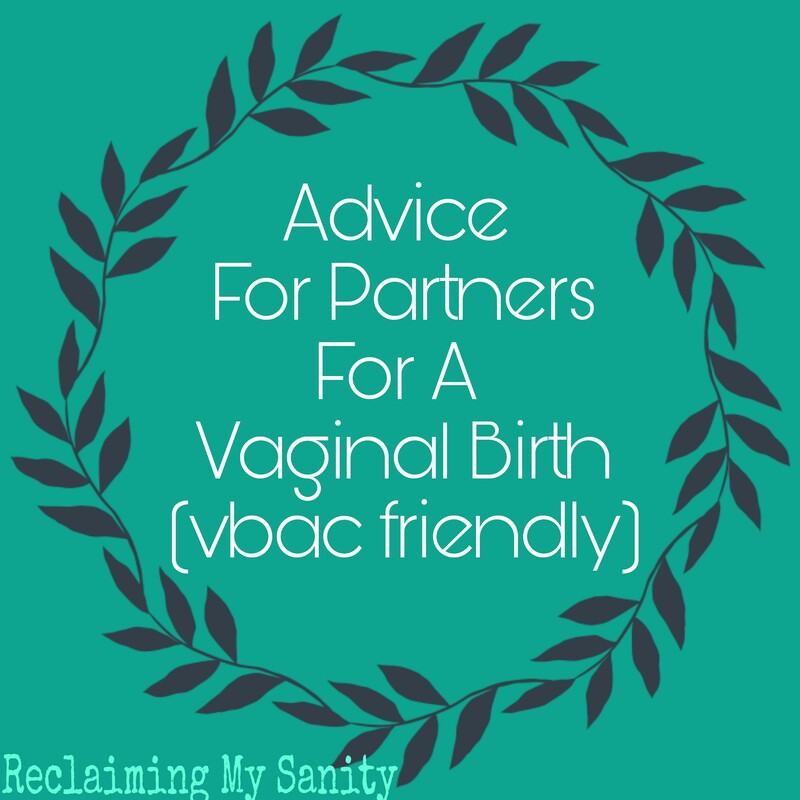 I didn’t know having a Vbac was a thing until you had told me, prior to getting pregnant again. I didn’t really question it because I knew you felt strongly about it. I wasn’t nervous about you doing it because I didn’t think one csection would cause complications. We had been going to your doctor to get pregnant again (the one who delivered Pickle). I figured, we would keep going to her for the pregnancy and birth again. I never felt uncomfortable with her, but she was difficult to read. I couldn’t tell whether or not she was just saying the things we wanted to hear or if she was actually being supportive. It wasn’t until you told me you were considering switching to the midwives, that I thought about it. I was fine with whatever you wanted because I knew you knew what you were doing, or wanted to do. We switched to the midwives and I immediately could tell the difference between vbac tolerant and vbac supportive. I didn’t have to question the midwives’ motives. They were on board with our birth plan. You woke me up around 1am telling me your water broke. I thought we still had time before we needed to go to the hospital, but I couldn’t feel what you were. I didn’t know how to know when we should go. We didn’t wind up waiting very long, just long enough to wake up Pickle, call the people we needed to, get our stuff together, and leave. We got to the hospital and you were at 3cm. The waiting game began. 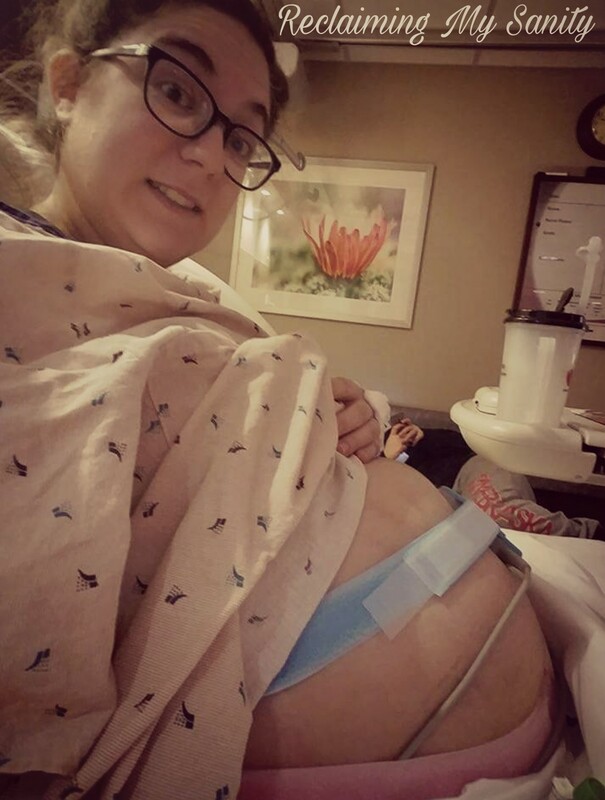 The midwife gave us the option of waiting it out or starting pitocin to speed the process up. I didn’t think you would choose the pitocin route because it wasn’t considered natural (But I am glad you did). I was able to sleep a little bit before things started picking up. I woke up sometime after 6am. You were at 4cm. That is when they had you get up and rock your hips to get things moving along. I was just trying to be present and help you be as comfortable as you could. I rubbed your back, helped you rock from side to side over the bed, and I made sure to keep reheating your rice bag for your back. I knew things were getting more intense when you were very uncomfortable. You started crying and talking about how it hurt in your back. They checked you and you were 8cm. I thought, “okay this is it, it is going to be go time really soon”. That is, until the midwife told us she was stuck on your pelvis. Everything seemed to come to a halt. I didn’t know how they would get her unstuck. Would you end up with a csection? They tried getting you to do the peanut ball, but that only seemed to make things much worse for you. Then they gave you the medicine (fentanyl) and you were able to relax. You decided to go to the bathroom. Then I heard you screaming that you were pushing. The nurse ran in and pulled the emergency cord, while repeatedly telling you to stop pushing. I was thinking, “don’t have the baby in the shitter”. They got you into the bed again and I knew we had to be so close. Sure enough, it was go time. I knew I didn’t want to be down there watching her come out. I wanted to be by your side, to support you in getting through this. When you were pushing, you kept repeating “it hurts, it hurts”. I was expecting you to push longer than you did, it happened quite quickly. I think it was like 4 pushes and she was out. They immediately put her on you and started cleaning her off a little bit. When you’re going through this, you really only have a one tracked mind. I just wanted to be there for you and help you through it. That was all I was focused on. It wasn’t until after she was born that I was able to reflect on what just happened. I felt a huge amount of gratitude. I was able to cut the cord this time, officially detaching her from you. It was a much more personal experience -like what we wanted. The advice I would give to other partners is to be present. Prepare yourself by reading things and talking about it with your partner and doctor/midwife. Make sure everyone is on the same page. Find out what your partner expects from you, so that you can do your best to do those things for her. She is going to need you mentally and physically, be present. I agree with Chris, being present is absolutely necessary. I couldn’t have gone as far as I did without him supporting me. Talk to each other about expectations. I didn’t do that as in great of detail with our first. Men cannot read minds (nor can women) so we need to voice these things so that nobody is left feeling negatively about such a beautiful thing. The last piece of advice I have, let her sleep. 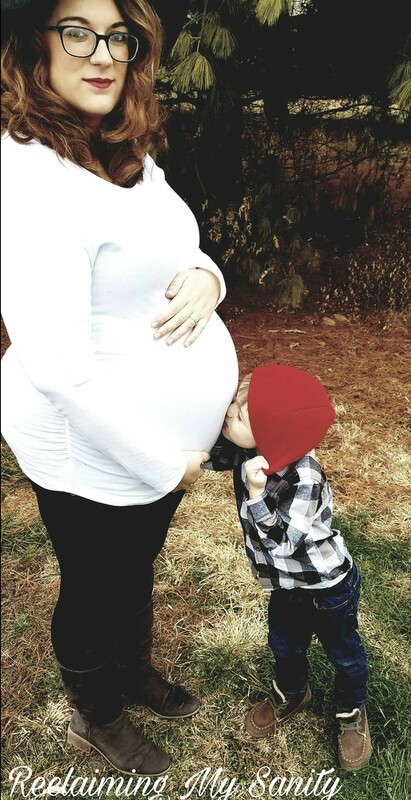 I am sure you’re tired, but she spent 9 months carrying the baby, however many hours in labor, and pushing (or having surgery) a baby out of her. She is tired. She may not look tired because she is so in awe over that baby, but trust me, she is exhausted. Let her sleep. When the nurses come in to do the baby tests, be present so that she can rest. Trust me, she will thank you for it. If you have any questions for me or the hubbs leave them in the comments below and we will get back to you! Glad you went this way the second time around. Multiple C-Sections have really adverse effects on the mother’s health. Many people do not know that it is an option! In fact, many providers won’t even consider it. It makes me sad. Not only an option, usually one should go for it if there are complications regarding natural birth. One should definitely not go for it just for the sake of convenience. The worst part is, instead of serving the people properly, even the doctors recommend it as per their convenience. I mean for God’s sake you’re a doctor, convenience should be the last thing on your mind. Exactly! My son, I am convinced, was a convenient birth for the doctor we had. She was suppose to let me try to go naturally, but took advantage of my first time mom naivety. It is sad that they get away with this. I definitely learned my lesson is taking charge of my health care.